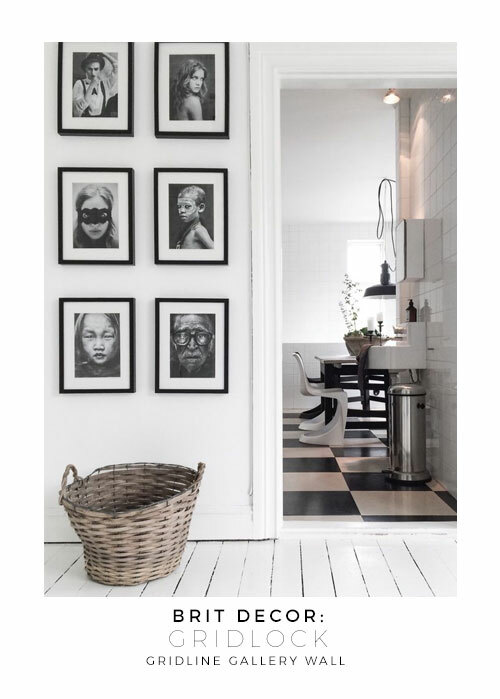 Another look tipped to be top in our homes this year is grid-lines, which luckily for moi, includes some of my favourite looks - monochrome and graphic lines. 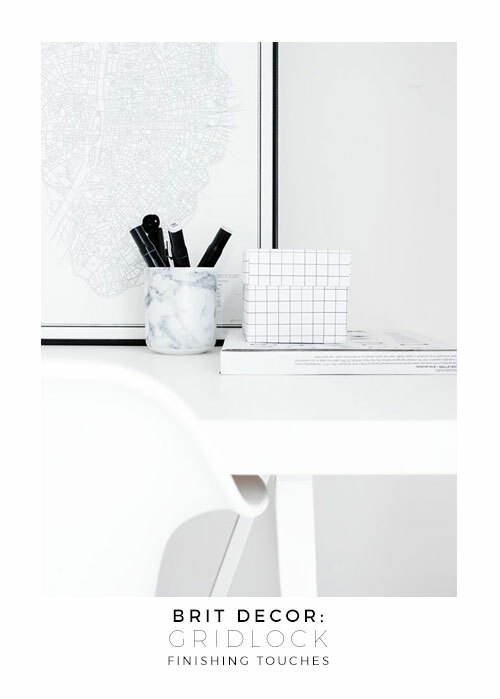 Although I should add that grids don't have to be exclusively black & white! 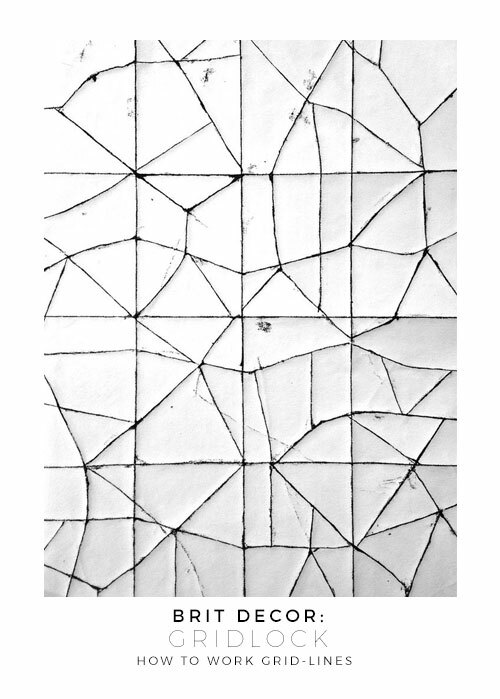 In fact, I'm advocating a new kind of grid-line - one less inclined to follow mathematical precision and symmetry, and unafraid to team-up with juxtaposing patterns and shapes. Then again, despite a lifelong obsession with precision, maths was really never my 'thing'. 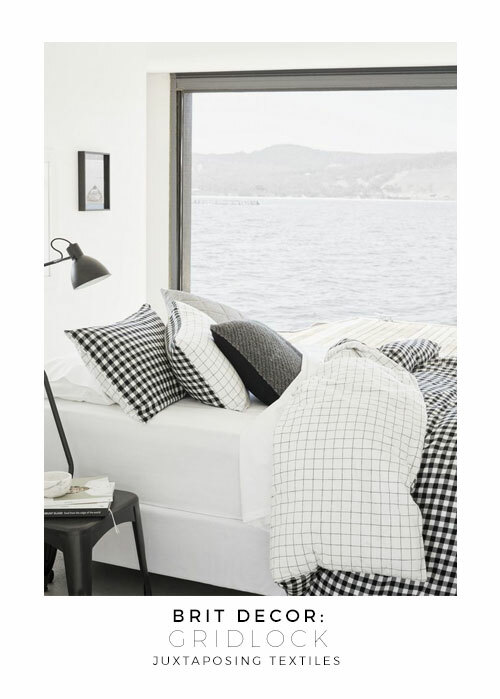 Simple monochromatic bed linen dressed in a grid-line pattern can create a very crisp look, but adding bolder lines and solid blocks of black or charcoal to the mix can really amplify this style (see the image immediately 'below'). 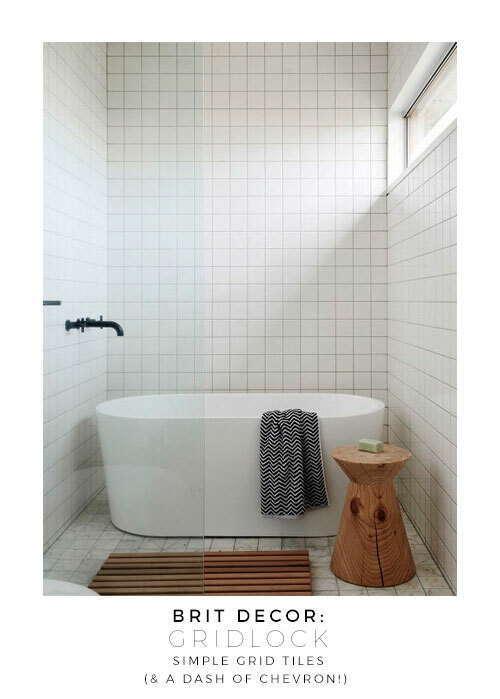 Equally, a backdrop laid out in a subtle grid-line formation, such as the bathroom tiles (also 'below') can suddenly jump to life with the simple addition of a juxtaposing pattern, like the chevron towel. 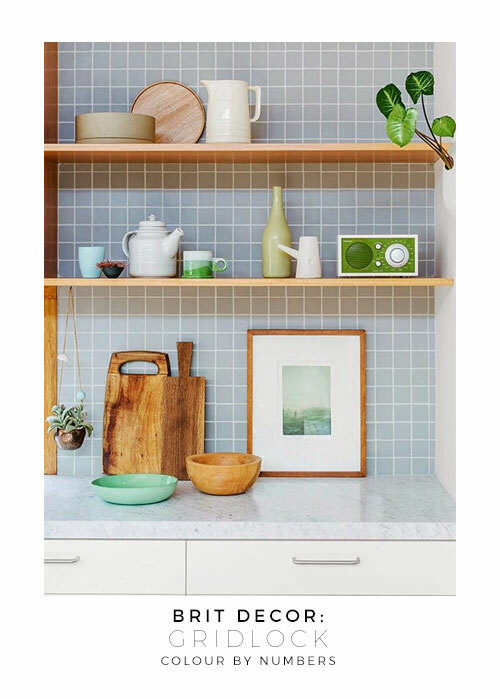 It's also great to see metal grid-work creeping into the domestic setting, which can bring dual functionality as a utility wall and a highly graphic display board for artwork. 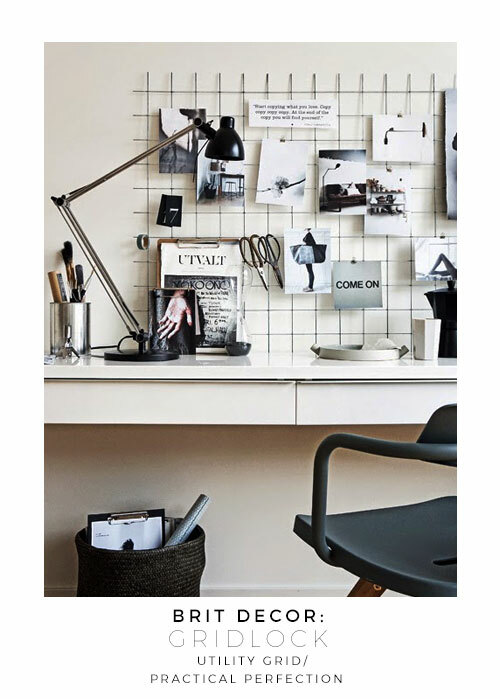 'Below' we can see two incredibly effective uses of metal grids; one as a workspace backdrop used for storing both work tools and postcards, and the other serving as a portable screen adorned with images. 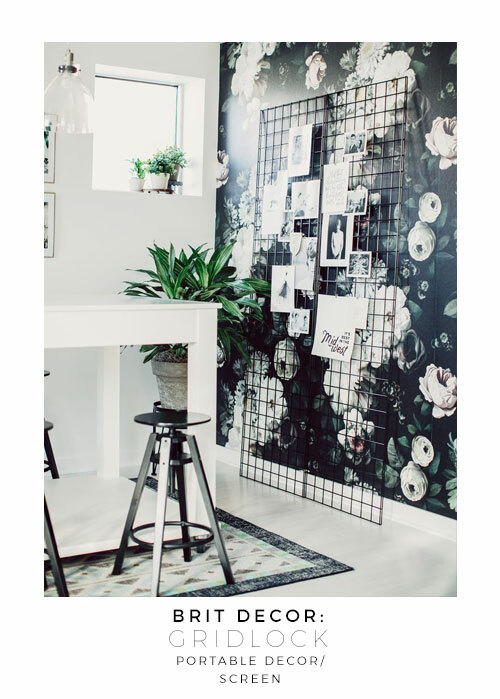 Personally, I think this material would also make an awesome room divider!